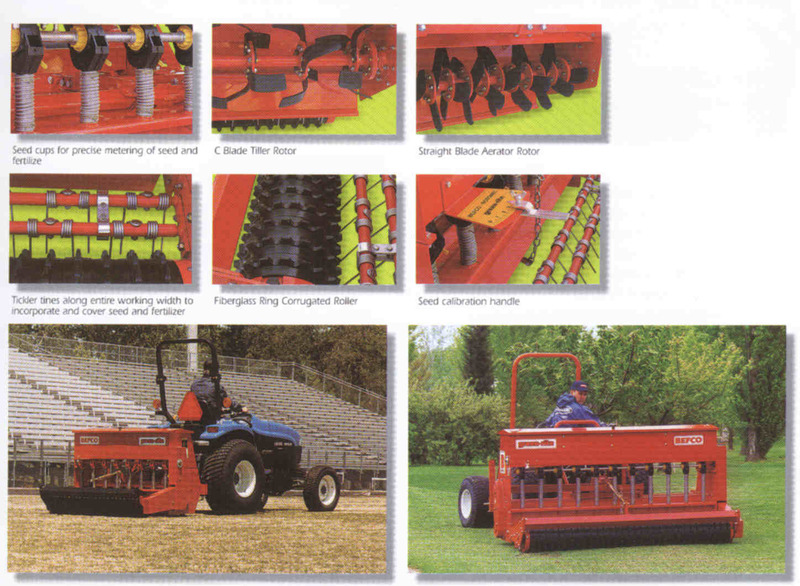 The Green-Rite is and overseeder-aerator, and a seeder-cultivator all in one implement. The Green-Rite overseeder is designed for seeding and overseeding in a variety of conditions. For aerating when overseeding, the Green-Rite Overseeder has three straight knives mounted on each rotor flange, spaced 2.8 inches apart. 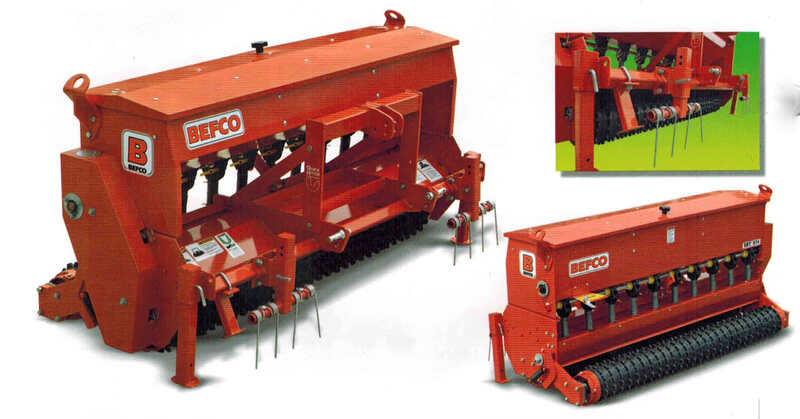 If an area needs to be completely re-seeded, the units can be equiped with the optional tiller tine rotor for completely turning over the soil. The Green-Rite is a complete re-seeding tool available in working widths of 58 inches, 66 inches, and 82 inches. 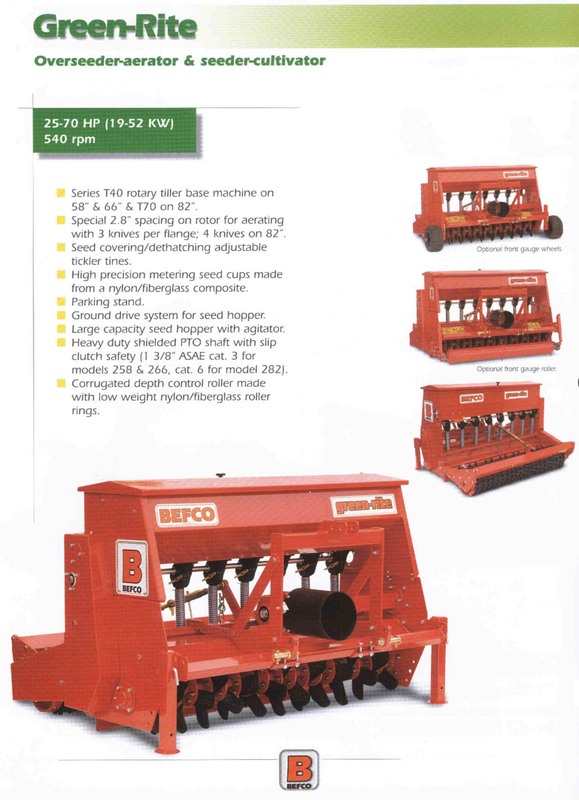 Also Available is the Seed-Rite Primary Seeder. 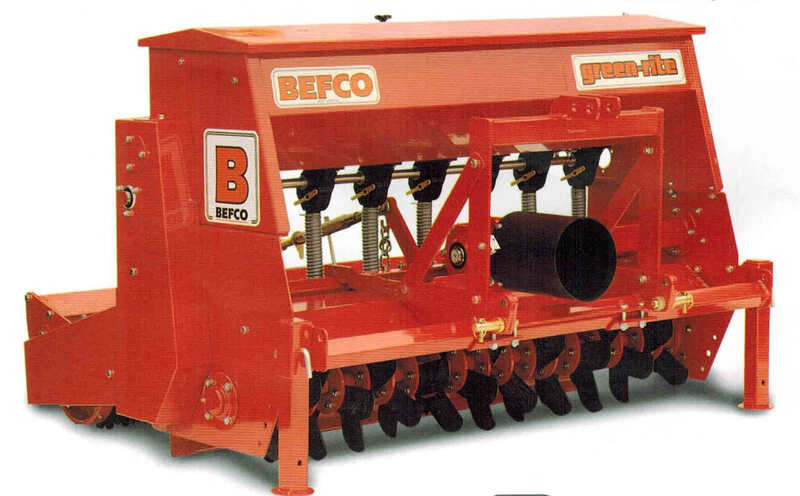 The Seed-Rite is similar to the Green-Rite machines except it is exclusively a seeding machine as it does not have any slicing/tilling rotor, and is designed to be used on already tilled, non-seeded ground. The unit's seeding mechanism is ground driven from the front corrugated roller on the machine. 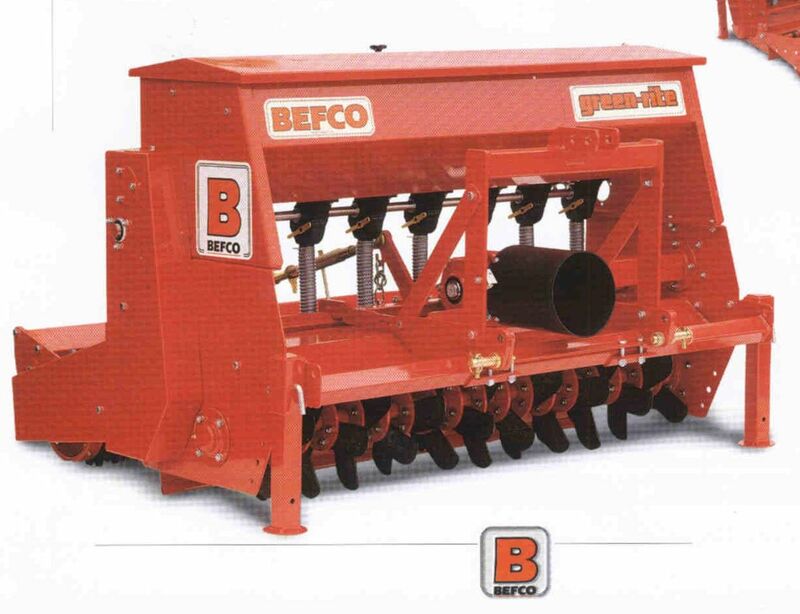 Aerator/Tiller part of unit is a series T40 rotary tiller base machine on 50, 58 and 66 inch machine. Eighty-two inch machine uses a T70 series rotary tiller base machine. Working width is 74 inches, overall width is 80 inches, weight is 990 lbs., shipping weight is 1190 lbs. If ordering these accessories with the Seed-Rite SRT-074 then see the order page for the SRT-074; if ordering the below separately, then click the order form button below each item. We make every effort to keep prices current and correct as shown on our product pages. Prices do change frequently however; we will notify you of any changes when we receive your order so you can make any adjustments or changes to the order. We are not responsible for information or pricing on copies of our web pages on the search engines that are out of date. If you navigated to this page by clicking a link in the search engine listings, then click on the reload button on your browser to make sure you are viewing a current version of this page from our website. You can also go to www.wikco.com and link to this page from our index. Please Order In Writing Only Using Our Order Form.